The chief coroner of England and Wales has refused to act after it emerged that only one coroner has written an official report warning that lives could be put at risk by the government’s “fitness for work” test. Disability News Service (DNS) reported last week how Michael O’Sullivan, a 60-year-old man from north London killed himself as a direct result of being found “fit for work”. The case emerged after DNS examined the database of nearly 1, 000 prevention of future deaths (PFD) reports, which are written by coroners if they believe “there is a risk that future deaths will occur unless action is taken” by an individual or organisation. Since July 2013, such reports have been published online by the chief coroner. But a search revealed just one PFD report that expressed concerns about the work capability assessment (WCA) – written by north London coroner Mary Hassell, following her inquest into Michael O’Sullivan’s death – even though DNS freedom of information requests have revealed that the Department for Work and Pensions (DWP) has carried out at least 49 secret reviews into benefit-related deaths since February 2012. Of those 49 reviews, 33 contained recommendations for improvements in DWP procedures at either national or local level, and 40 were carried out following the suicide or apparent suicide of a benefit claimant. 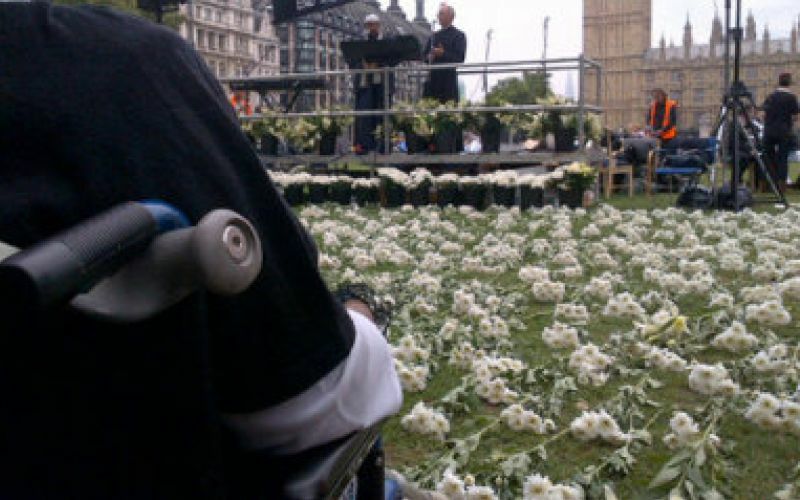 But despite so many internal reviews, and scores of other cases in which disabled activists have raised concerns about possible links between the WCA system and premature deaths of disabled benefit claimants, only one coroner – Hassell – has written a PFD report. This week, a spokesman for the chief coroner, Judge Peter Thornton, insisted that he was unable to take any action or issue any advice because “coroners are independent and the decision to issue a PFD report is for them, depending on evidence they hear”. But information on the chief coroner’s own web page makes it clear that his duties include providing “support, leadership and guidance for coroners in England and Wales”, and overseeing the implementation of the new provisions of the Coroners and Justice Act 2009. Among those new provisions is schedule five, paragraph seven, which describes coroners’ duties to complete PFD reports. By 6pm this evening (24 September), the chief coroner had failed to comment further. Following the DNS story, the grassroots campaigning organisation Black Triangle has said it is now working with Michael O’Sullivan’s daughter, Anne-Marie, to push for action by the General Medical Council against the former surgeon who carried out his assessment. Earlier this week, she told ITV News, which contacted her after working with DNS on the story: “If they continue to assess people the way they assessed dad, we will continue to lose lives. She said her father had “buckled under the pressure” of the WCA system and “couldn’t take it any more”. Black Triangle was formed after the 2010 suicide of the Scottish poet Paul Reekie, in similar circumstances to Michael O’Sullivan, and it also plans to work with Anne-Marie to build a dossier of evidence to hand to the UN team that is carrying out an unprecedented inquiry into “systematic and grave violations” of disabled people’s human rights in the UK. A UN team is expected to visit the UK as part of that inquiry before the end of the year. Meanwhile, Labour has announced that Debbie Abrahams has been appointed as its new shadow minister for disabled people. Abrahams has been a member of the work and pensions select committee since 2011, and has played a key role in challenging work and pensions secretary Iain Duncan Smith and other ministers on issues such as the WCA, personal independence payment, the Access to Work programme and the use of benefit sanctions. Abrahams said: “Being disabled is not a lifestyle choice. I am proud of the principles underpinning our model of social welfare, where any one of us is afforded protection should we fall ill or become disabled, but it is at risk from this government. She added: “I’m absolutely thrilled to be working on such an important issue and one which I feel passionately about. “Disabled people and their carers continue to face many barriers in our society, in accessing work and receiving appropriate support.